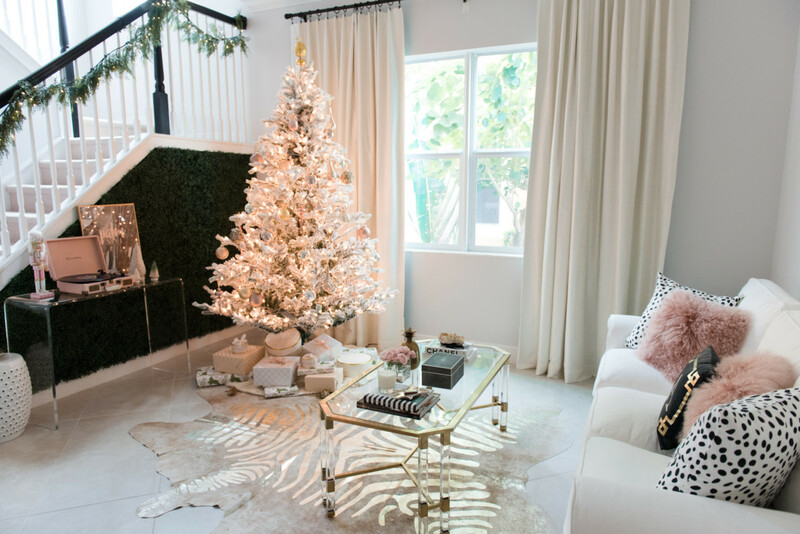 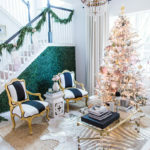 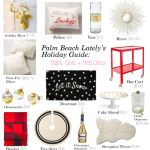 This year, we wanted to decorate for the holidays with blush, gold, white and black. 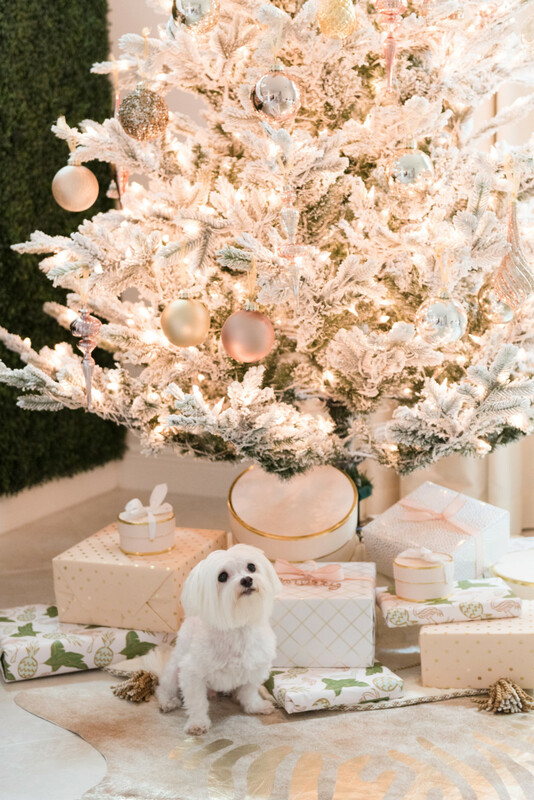 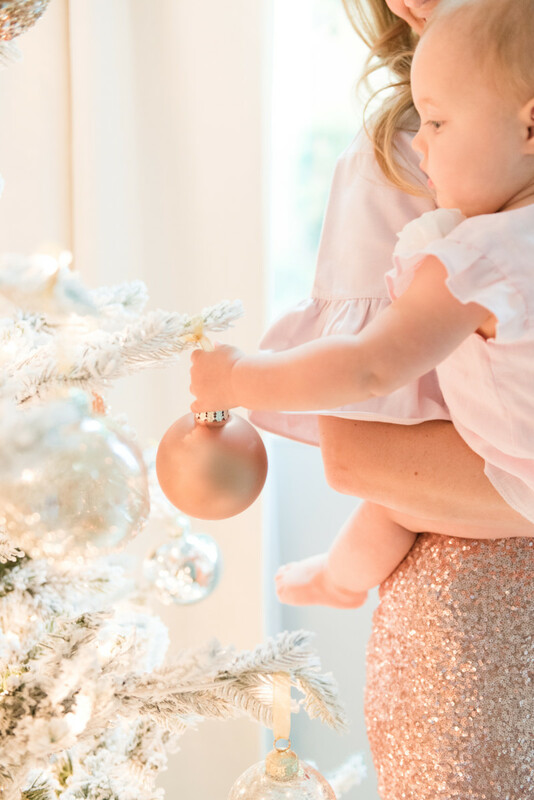 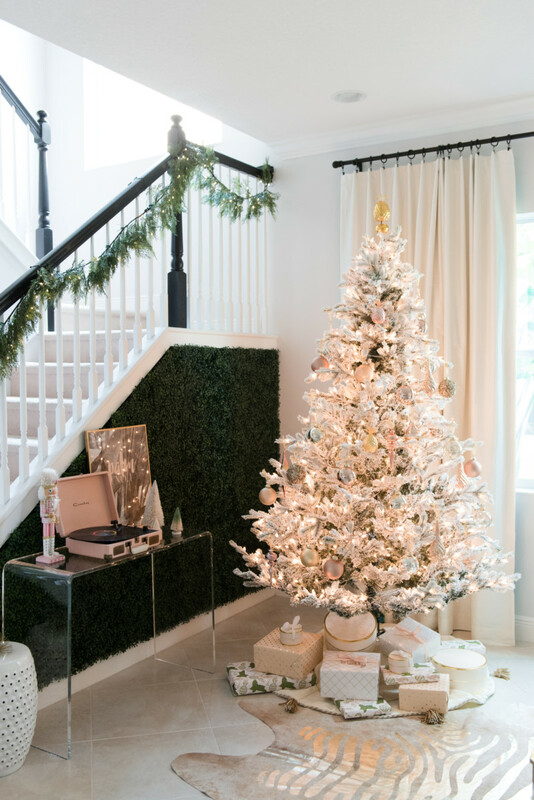 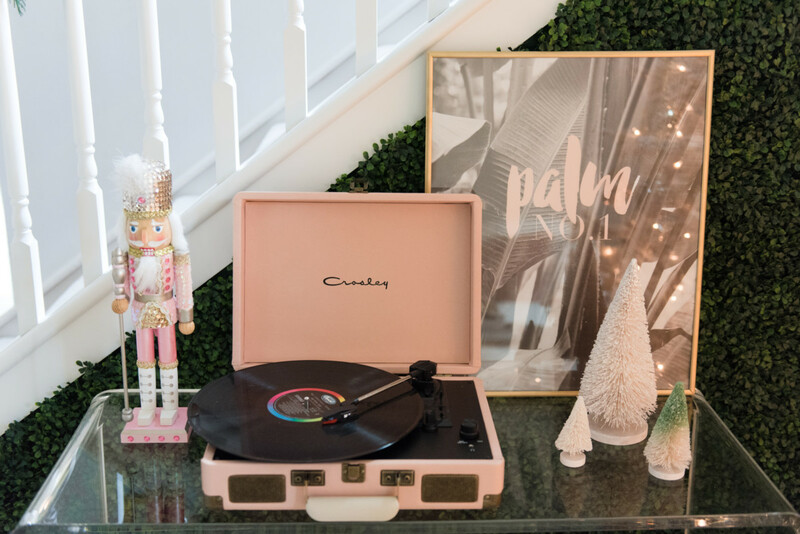 We started with a flocked tree and metallic ornaments from Frontgate, assorted blush and gold gift wrap from Sugar Paper LA for Target and a blush record player to play Nat King Cole holiday tunes on repeat. 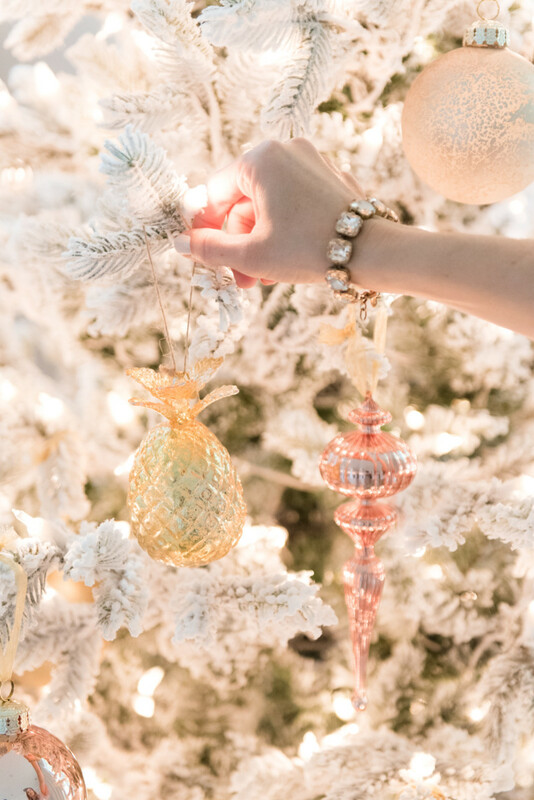 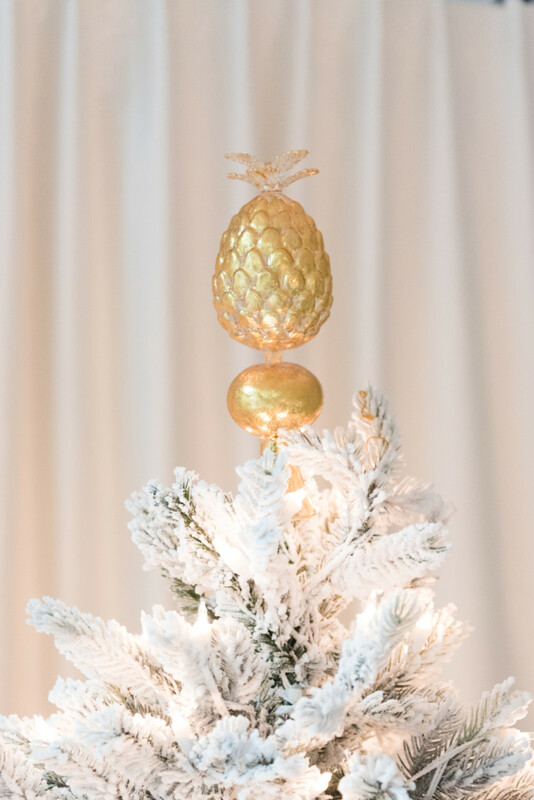 We added our signature Palm Beach style with pineapple ornaments, a pineapple tree topper and a chic palm print. 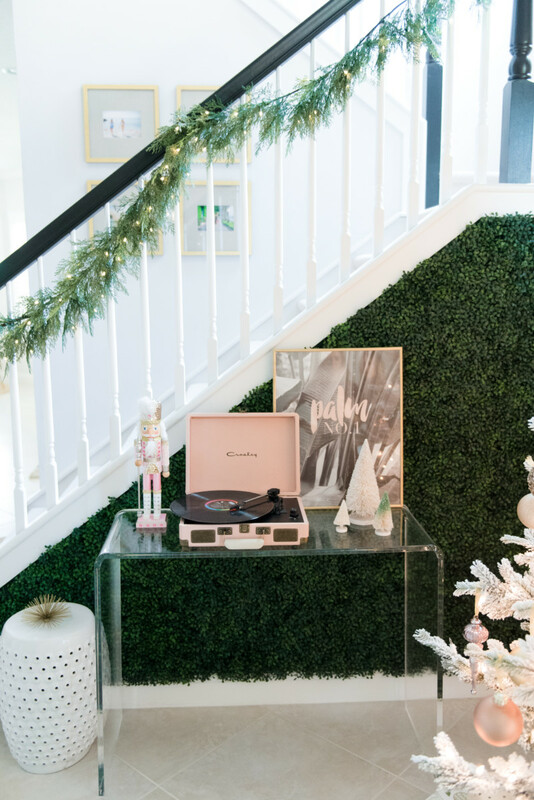 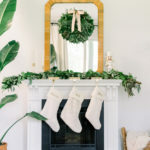 The room is officially ready for the holidays, so come sneak a peek at Beth’s new favorite room in her house!